SALE! Now $172, originally $245. 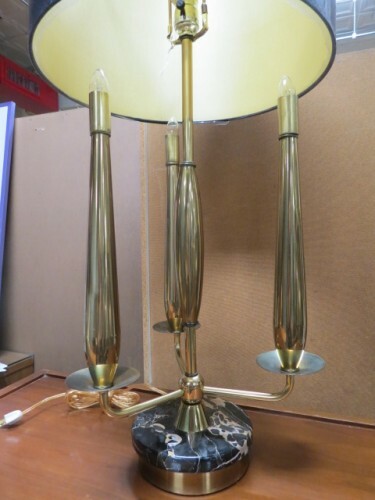 Vintage mid century modern brass and marble table lamp c. 1960. Four light lamp. 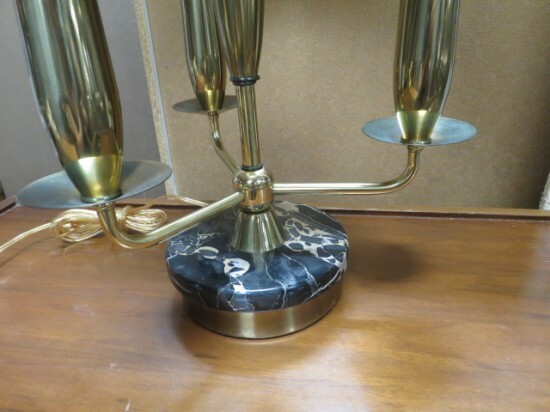 Has black marble base, three brass candles, brass center stem. New black round shade with gold interior. 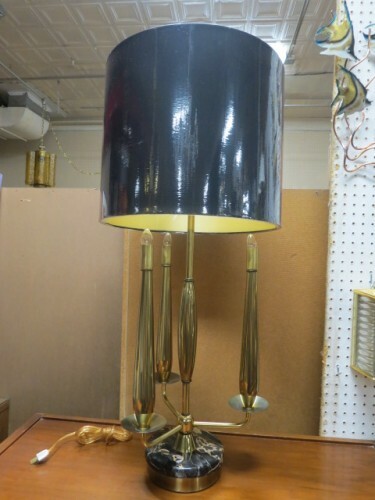 This lamp would be impressive on your desk or in your living room. Excellent condition. Measures 34.5” tall, 7” base diameter, and 15.5” shade diameter.